Auditing assignment helps you to understand the definition of auditing in ISO 19011:2011-"Guidelines for auditing management systems, an audit is a "systematic, independent and documented process for obtaining audit evidence [records, statements of fact or other information which are relevant and verifiable] and evaluating it objectively to determine the extent to which the audit criteria [set of policies, procedures or requirements] are fulfilled" in a much broader context if you avail an auditing assignment writing experts help. It is difficult to precisely define the term 'auditing'. Some definitions are given by important authors and bodies, which can be used in assignment questions, as recommended by auditing assignment writing experts. According to the International Federation of Accountants (IFAC): In an audit, the examination of information related to entity's financial status is performed independently, irrespective of its form or size legally stated, with an objective to express opinion(s) on it. 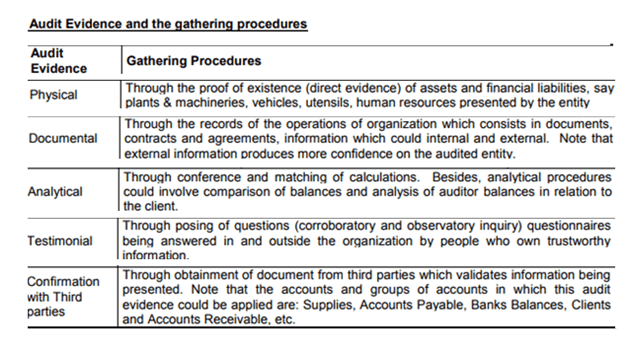 American Accounting Association (AAA) states audit as: Auditing is a systematic method of obtaining, processing and assessing evidences in regard to assertions about economically influenced actions and episodes so as to establish the degree of correlation between those assertions and ascertained formulas and thus, conveying the results to the desired users. Montgomery defines audit as: An examination done systematically over a set of records and books of an organization or a business so as to determine and to report upon the existing facts regarding their financial activity and results thereon. Economic decisions must be built on the information that is available at the moment when the commitment is being made. As the society has become more complicated and unstable, the likelihood of unreliable data provided to decision makers, has increased. This happens due to the reasons: immense amount of data, remote or out-of-reach information and existence of composite exchange transactions. For this problem of unreliable data to be overcome, the decision maker must design some methods to assure that the available data is reliable enough for decision making. In doing this, decision-maker must contemplate the cost to obtain sufficiently valid data against the expected profit. One familiar way of obtaining such valid data is to undertake a verification procedure (audit) executed by set of independent personnel. The decision-making process applies the information obtained from audit under the assumption that the information is intact, unbiased and reasonably accurate. Audits are very important to externally related company alliances, such as investors and shareholders, because these bodies provide extra level of reassurance when they invest, and also in the cases when issues related to investments come up. The initial objective of auditing was to detect and prevent errors and frauds. It was during the industrial revolution that auditing started to evolve in the 18th century. Ownership and management were set apart, once those joint stock companies started growing on a wider scale. The shareholders were the owners of the companies, and all their account related reports were supposed to be prepared by an independent expert supervised under the board of directors. After a certain period of time, the objective of audit shifted and audit was now expected to ascertain whether the existing account details were true and fair rather than the detection of errors and frauds in the record. Examine the system of internal check. Check the mathematical correctness of accounts' books, balancing, casting, validate posting, etc. Confirm the existence and value of liabilities and assets. Check the exact difference between revenue and capital nature of transactions made. Verifying the authenticity and credibility of transactions. Verify whether all the vital and statutory specifications are satisfied or not. Prove true and fair view of financial position given by the balance sheet and operating results extended by income statement. These objectives are expanded under different cases, which are not easy to understand and frame, especially during assignment writing. Auditing assignment help and auditing assignment writing services help you write simple and comprehendible answers in your assignments. "WHO IS AN AUDITOR?" is the most frequently asked question in the assignment. This auditing assignment helps you to understand certain important concepts with the examination point of view. An official, who is in charge of carefully checking the accuracy and authenticity of business records, is known to be an auditor. An auditor writes a business report at the end of an audit, thus, determining the accuracy and the clarity that the organization has accounted for. Internal auditors: These are employed by the company to provide audits related to the efficacy of the companys internal control over their financial reports. External auditors: These are individual auditing firms that the organization hires, wherein they present their opinions if the company's financial statements are free of material misstatement. AUDITORS'S INDEPENDENCE: To ensure that the audit opinion given by the auditor is not influenced by any relationship between them and the client company, thus assuring auditors' independence from the client company. Only an honest and unbiased opinion is expected to be presented by the auditors to the shareholders over all the related financial statements. Situational questions on auditor's Independence are asked in the auditing assignments, as per auditing assignment writing experts. Auditor's independence is needed because in many cases, users of financial statements and other external (third) parties do not have adequate amount knowledge or information to interpret and understand company's annual accounts and its components completely. Thus, they bank on the auditor's individual and credible opinions over their financial audits. WHAT IS AN AUDITOR'S REPORT? An audit report is a written opinion of an auditor regarding the reliability and validity of an entity's financial statements. The report follows standard format rules as enacted by Generally Accepted Auditing Standards (GAAS). Depending upon the environment of the audit work in which the auditor engages, GAAS allows a number of variants in the report. 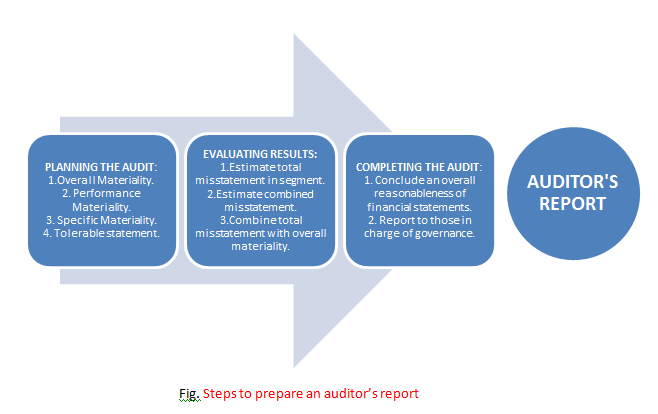 There are three main steps to prepare an auditor's report. A clean/standard opinion, issued when the matters consisted in financial statements are not significantly reserved in the name of the person. 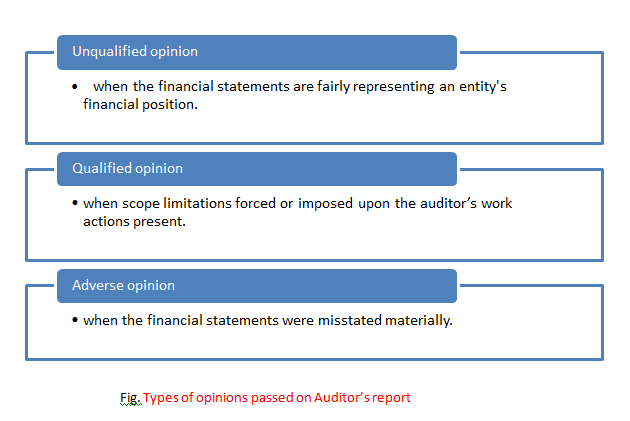 A qualified opinion, issued when the auditor encounters a situation not complying to the legal accounting principles, however the remaining part of the financial statements is presented fairly. An adverse opinion, states that the financial statements are misstated materially and renders penetrating effect on the overall statement. Opinion Report's Disclaimer: Issued due to an independent auditor, or inability to obtain appropriate evidences, or due to considerable uncertainties in business. A user of an entity's financial statements is typically issued an auditor's report. It is the auditor's report that acts as the evidence of a knowledgeable check on the user's financial statements by the third party such that the user can rely on their opinions and hence, the report. Before loaning funds to a business, an auditor's report containing clean opinion is highly required by many leaders. For any public entity, a relevant audit report must be attached to their financial statements before filing them with the Securities and Exchange Commission. AUDIT EVIDENCE: For financial statements to be certified, it is important that accurate and reliable information is collected so as to review the company's financial transactions inclusive of its internally controlled practices & all the crucial factors. This information is treated as audit evidence. The amount and type of the auditing evidence being considered varies largely on the basis of the type of audited body or organization, plus the scope of audit. Auditing vitally requires audit evidences during the process. For different types of audit evidences, there are specific procedures to follow whilst attending them such that the evidences are precisely traced and reported. 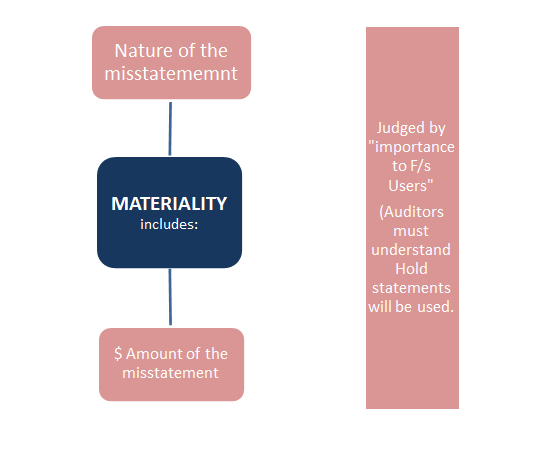 AUDIT MATERIALITY: It is the maximum above which incorrect or missing information in company's financial statements is believed to influence the economic decision making of the users. Sometimes, materiality is analysed in terms of net influence on the profits been reported, or the dollar or percentage change in a particular line item stated under the financial statements. One of the many ways to detect the material misstatement or material fraud at the assertion level is Substantial Procedure. It is an activity/test performed at the assertion level that creates conclusive evidence regarding the existence, valuation, completeness, rights, disclosure of accounts or assets on the financial statement. 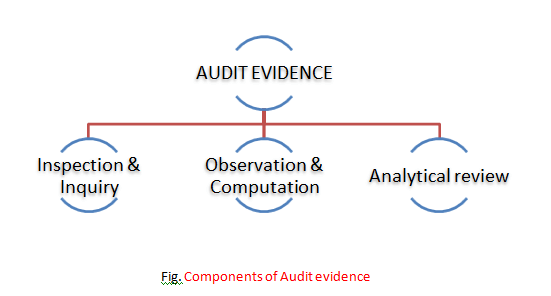 AUDIT RISK: The occurrence of audit risk is identified through the functions and responsibilities of the independent auditor who states, "Because of the characteristics of fraudulence and audit evidence's nature, the auditor is able to acquire reasonable affirmation that some material misstatements are detected." It is the risk when an auditor may unknowingly fail to modifying his or her opinion on financial statements that are materially misreported. Analytical review: Analytical Review includes the learning of significant trends and ratios and the inspection of any unexpected instability and items whether in the balance sheet or income statement. Materiality of the items involved, evaluation of control and inherent risks, etc. 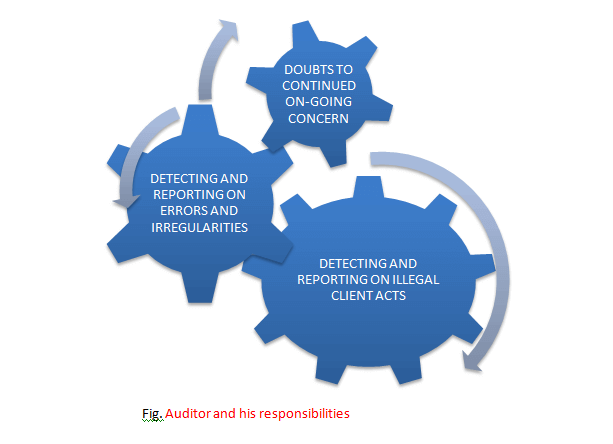 are some of the major factors of analytical review on which auditor relies on. In certain circumstances auditors may need to depend on the work of, or consult an external party not involved in the audit process. An auditor may also nominate others (expert's) work because they find it efficient and effective too. Auditors do not need to be Auditing assignment help experts everywhere, when they lack the skills and technical knowledge to gather evidence about balances, transactions and disclosures, they should seek the assistance of an expert. 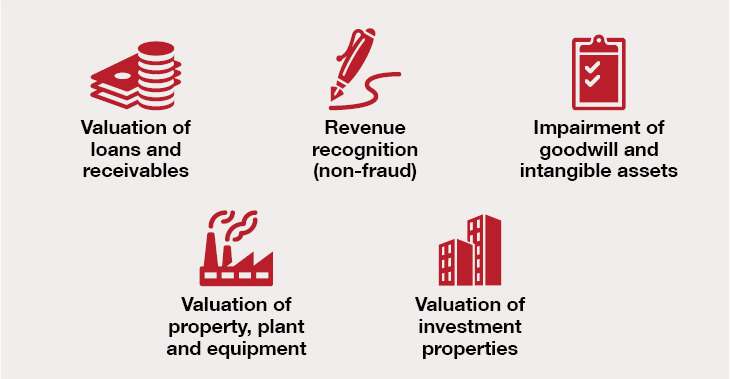 For example: In-progress construction work, property valuation, assessment of oil reserves, actuarial valuations for the pension schemes, etc. ISA 620 Using the Work of an Auditor's Expert states that the auditor should obtain appropriate and sufficient number of evidence that the work of the expert serves the purpose of auditing. Auditing is a super-lengthy and tedious subject to study. Students majoring in accounting must be facing tough times while completing their auditing assignments since it is a wide field of study that requires regular follow ups. If you are also one of those searching for "best auditing assignment help online", then your quest must seize here because Sample Assignment brings you an exemplary platform to serve your request. 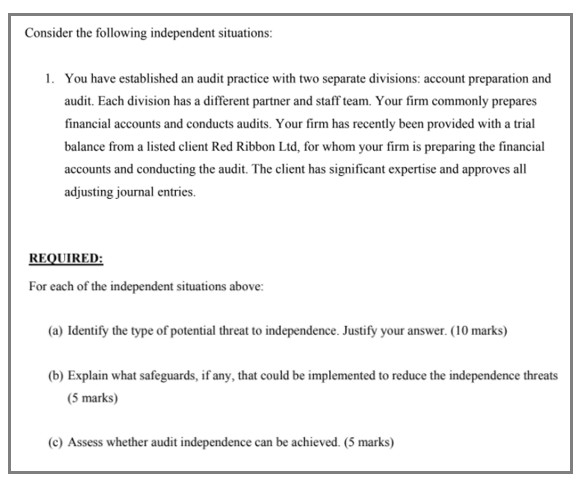 Question on auditor's independence and the threats that can be caused if found to be violated in Auditing. 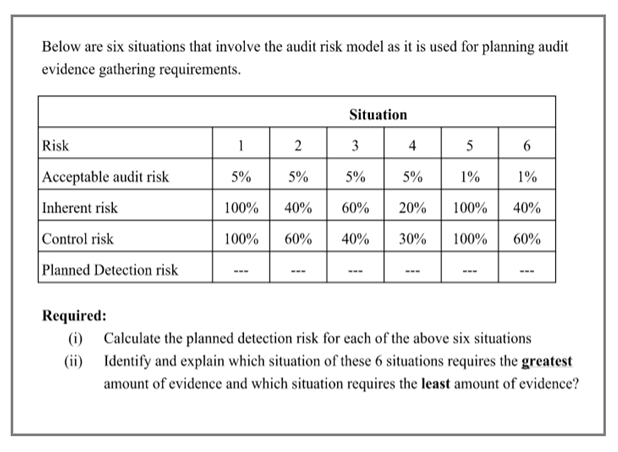 Question on audit risk calculation, using the data collected on the basis of certain audit evidences. 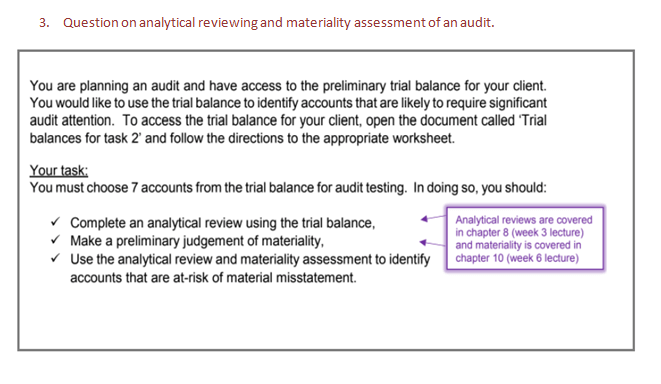 Question on analytical reviewing and materiality assessment of an audit. An auditing assignment is not everyone's cup of tea and therefore, requires only stringent efforts of the auditing assignment help by experts, to bring up the best complete piece of work. Auditing has number of process and procedures which are segmented every now and then in the chapters. Proper structuring whilst attempting the assignment becomes extremely necessary. Our Auditing assignment experts have a strong repository of knowledge to understand the exact format and structure of the question/answers and so, will be the best option for the students to get the best assignment help possible on the internet. We not only provide you highly experienced experts but also, their old hands at high quality work. Their sufficient knowledge and smart attempt makes the work look decent and highly credible. The Auditing assignment or all type of assignment is 100% plagiarism-free and proofread thus, making it grammatically correct content as well. Once we are completing the whole draft, we promise to deliver before the deadlines, no matter how tight it is. Our 24*7 customer service and multiple revision session make the service more indicative of the fact that we are totally concerned about our customer's satisfaction with our work. Our team will help you take your scores far beyond the limits. So, reach us out and get the best online auditing assignment help you were always wanting to get.